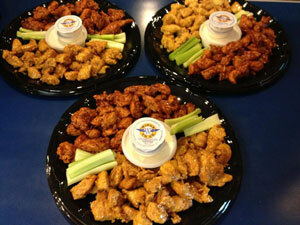 Wings To Go - Simply Great Wings Since 1985! A cliché commonly used when starting a wing business is “We started on a wing and a prayer”, here at Wings To Go, we like to tell folks we started with some wings wanting to answer the prayers of homesick Buffalonians stationed at Dover Air Force base in Delaware. The summer of 1985 marked the opening of the first Wings To Go opposite Dover Air Force base, our wings were an instant hit with those serving our country but to our surprise we were pulling our greatest crowd from the nearby beaches! As this demand grew, Wings To Go responded by opening locations in Dewey Beach and Wilmington Delaware. By the end of our third year there were five Wings To Go locations and five degrees of wing sauces to choose from; mild, medium, hot, extra hot and our famous suicide. 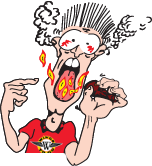 Since then Wings To Go has added our now legendary and trademarked scorcher…Homicide® a sauce known to make the bravest wing eater cry! 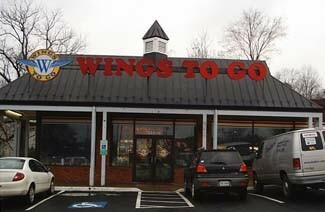 By 1989 Wings To Go began franchising and the company started to steadily grow. There are now over 40 Wings To Go restaurants across the South, Southeast and Mid-Atlantic regions of the United States. What Makes Wings To Go a Popular Choice as a Restaurant Franchise? In order to be really good at something you need to make smart decisions; this is especially true in the restaurant franchise business. Wings To Go made a commitment from the beginning to serve quality chicken paired with the best sauces available at any wing restaurant anywhere. Bottom line for Wings To Go is, we serve "Simply Great Wings". This philosophy makes our restaurants very popular, but another attractive feature is the flexibility we offer as you develop your restaurant. You may choose to set up your restaurant as a take out location only, full eat-in fast casual restaurant and perhaps offer beer and liquor, whichever suits you, Wings To Go will help you set up the wing restaurant of your dreams. “Simply Great Wings” is more than a motto we hang on the wall, we work hard to live up to this motto in all our restaurants around the country. When a customer walks into your Wings To Go restaurant they will feel instantly “at home” due to the comfortable local sports theme you have created with the assistance of our corporate team. Once they receive their food they will enjoy “Simply Great Wings” with their favorite sauce as well as other tasty items from our menu including; fries, salads, sandwiches, catfish, shrimp and a variety of specialty appetizers available for you to include on your menu. Owning your own Buffalo Wing business is both exciting and challenging. At Wings To Go, we have been fine tuning our franchise systems to provide you with the guidelines you need to operate your Wings To Go restaurant efficiently. From the time you sign your franchise agreement to store opening and beyond, Wings To Go is with you each step of the way helping you deliver simply great wings to your community. Location is critical to a retail business. 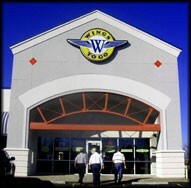 Using over 30 years of franchise experience, Wings To Go will help guide you in your search for the right location. The Wings To Go décor and kitchen design guidelines will help make your store efficient and professional. What helps Wings To Go stand apart is the input that you, the franchise, will have in adding local “flavor” to your décor. Our 20 day training program will give you the skills needed to operate your Wings To Go franchise with confidence. You will receive 10 days at our training store and 10 days at your location upon opening. As a part of the Wings To Go family, you are never alone. Our field representatives will routinely visit your restaurant to help keep your business in peak condition. Our office is always just a phone call away. Wings To Go will also provide you with the necessary tools and guidelines to run the business end of your restaurant. All facets of your business are covered including pricing, labor and assistance with creating a solid P&L statement. Wings To Go, Inc. provides regional and national branding campaigns and promotions to provide your store with overall brand recognition. In addition, our Marketing and Advertising department is available to assist your store with your local initiatives from your four walls to the community and beyond. Are You a Good Fit for Wings To Go? Wings To Go wants to continue our steady growth by partnering with great people who have the desire, drive and attitude to succeed. You bring the ambition and Wings To Go will provide expert knowledge through training, operating systems and corporate support, these things will make you successful in the restaurant business. If you feel you have the ambition and desire to own a successful Wings To Go restaurant or even multiple restaurants, we invite you to read further and contact us. We are excited to speak with you in the near future about your new Wings To Go Restaurant!